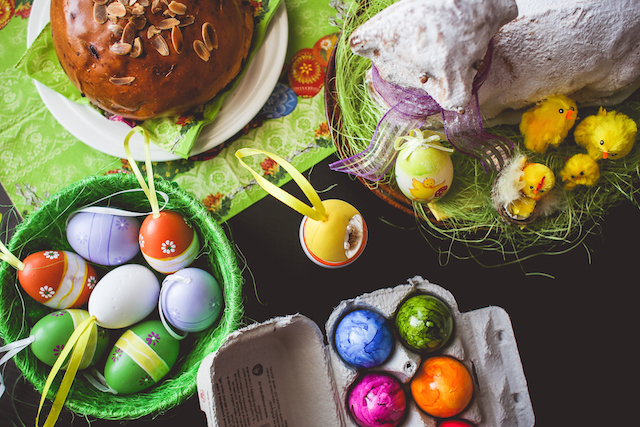 Share the post "5 Tips on Saving Your Waistline During Easter"
Easter is a day of celebration and of course indulgence. It is one of those many holidays where all the events and celebrations are somehow centered around food. And while it is a wonderful occasion to spend memorable time with family and friends, it does put your diet in a jeopardy. But here is the good news, having a wonderful holiday need not translate into falling off your diet plan. It’s all about balance! Here are some simple tips so you can enjoy a guilt-free Easter without adding a centimeter to your waistline. Starting your day with a healthy breakfast is the only way to ensure you get all the required nutrients you need for the busy day ahead, plus it will help keep you fuller for longer. It will also kick start your metabolism, hopefully helping you burn the extra calories. Especially when an Easter brunch is your big meal of the day, sneaking in a healthy breakfast beforehand is a smart idea so you can control what you eat at the brunch table, in addition to all the reasons above. We recommend a giant green smoothie or juice by adding kale or spinach, a banana and some yoghurt or any other breakfast favorite that is full of veggies and protein. This rule applies to so many aspects of your holiday meal, that you might as well consider it your mantra of the day. We would never ask you to deny yourself the holiday treats completely, we only suggest you do it in moderation. The application of the rule starts as early as shopping for the meal – we tend to buy extras; preparing for contingencies, and over estimating our appetites. This will inadvertently lead to left-overs, which will lead to overeating. The best way to control this is to shop smart. Plan your meal ahead, and stick to your grocery list, buying just enough quantities. Make your meal as extravagant as you would want to, but be wise in estimating proportions, minimizing the chance for leftovers. The next important point to keep in mind is the serving sizes. Stock away the larger plates and make sure you pick the smaller plate for your Easter meal. Moreover, choose wisely when filling up your plate. Load over 40% of your plate with salads and veggies leaving limited space for the calorie laden delicacies. And lastly, save the chocolates and the hot cross buns for the end. That way you are almost full by the time you get to them and will not be tempted to overindulge. Easter brings with it abundance of drinks and food. Don’t forget to slow down as you enjoy your meal. Your brain needs 20 minutes from the time you eat to send a signal to the rest of your body that you are full. So eating slowly means eating lesser and eating healthier. Pick your favorites and focus on enjoying those dishes, rather than eating all the dishes or completely denying yourself all. Just pick a slow eater or an interesting conversationalist to sit next to, to trick yourself into eating slower and empty your plate devouring each bite. Well, Easter without chocolate is incomplete and there is no reason for you to forgo those delicious Easter eggs. Just be smarter and opt for the healthier option – dark chocolate. Dark chocolate has shown to be more nutritious and a good source of antioxidants, so Easter eggs with a higher percentage of cocoa are better. The rich cocoa flavor will also help to satisfy your chocolate craving quicker. However, even dark chocolate should be eaten in moderation. 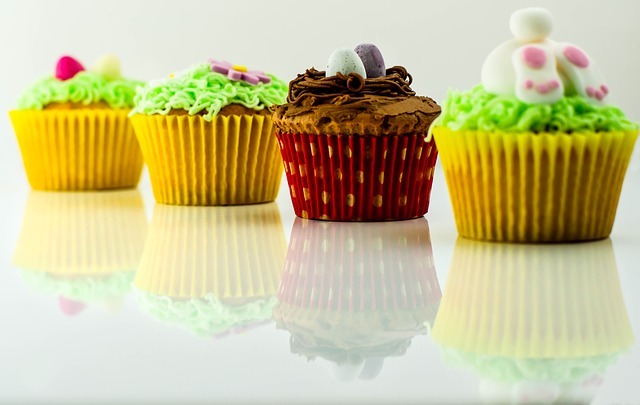 It’s more than likely that your food intake will be higher during the Easter holidays, and quite fairly so. While it may not be possible to exercise more to burn off the extra calories, keeping active in rigorous household chores, helping your kids with the Easter egg hunt, going on a family trek or walk, etc. will keep the extra weight at bay. Make the most of the great weather and get cycling, bush walking or even catch up on some gardening.